Building a go kart is fun. 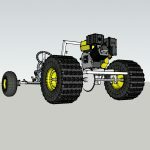 You will get free plans or blueprints, a step-by-step walk-through of how to build it, and other useful information about parts and what kits you need to make a gokart. 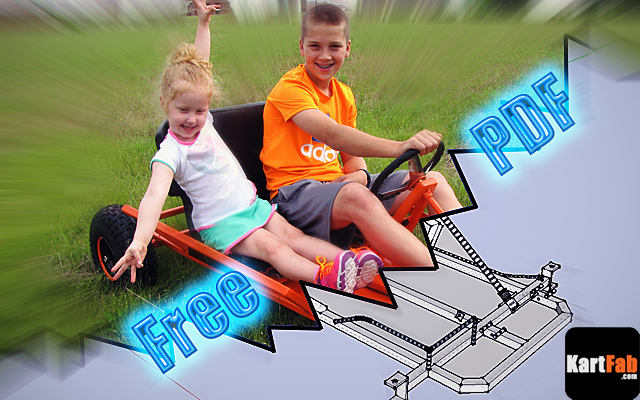 You can find free go kart plans at the free go kart plans section that will show you how to build a two seat go kart from scratch. I will be making a complete YouTube series on my channel that will show you in depth on how to make a go kart frame, and exactly what go kart parts you will need to buy. Have an old beater kart and need some inspiration for your restoration? The go kart vintage restorations section will show off some of the karts I have restored, as well as give you an idea of what to do with yours. Maintaining a go kart can add up. There are certain schedules, costs, and tips that you should know about. The go kart maintenance section shows how to maintain the clutch, engine, chain, bearings and everything else. I am just some random dude that loves go karts. I restored karts for many years, and now am in the process of making free plans for anyone to have. This website is designed with YOU in mind, so if you have any feedback, be sure to message me on your social media of choice found in the KartFab.com about page. I have finished the plans, and they are available now for download. So go ahead and download the plans build your own go kart. They go over the tools needed, materials, and parts you will need to get to build the kart. If you like them, go ahead and subscribe to me on youtube as well as I will be releasing how to videos on how to build the kart.